From Tucson, Arizona… Reaching new heights on the cult US Metal mountain range! 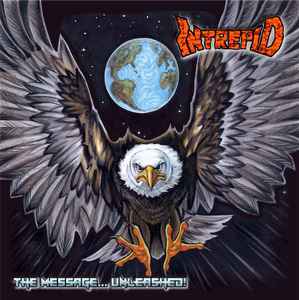 Intrepid’s ‘The Message’ demo tape, recorded in 1988, is definitely one of the most desired demos from the metal decade! Since it’s discovery, it has been one of the most heard and shared demos, specially within USPM appreciation circles. Officially released now for the first time, in a limited edition 6-page digipack CD, in a total of 13 songs, comprising the ‘The Message’ demo, plus a live 1988 rehearsal. Prepare yourselves for a piece of powerful, neck-breaking, high-pitching US Metal! A must-have for fans of Liege Lord, Helstar and Bloodlust! Categories: CD-Distribution, DISTRIBUTION, DISTRO STORE. Tags: Lost Realm Records, Power Metal, Speed Metal.